MALAYBALAY CITY (MindaNews / 22 December) — “Code Red” or forced evacuation, has been declared in Valencia City due to typhoon ‘Vinta,’ Samuel Langub, public information officer said. Out of the city’s 31 barangays, forced evacuation has been implemented in all 10 barangays along the Pulangi River — Lumbayao, San Isidro, Sinabuagan, Kahaponan, Sugod, Batangan, Pinatilan, Maapag Catumbalon and Poblacion. Langub said no estimates are available on the number of evacuees as of 9:05 a.m. Evacuees in the poblacion proceeded to the second floor of the New Terminal in Brgy. Hagkol while evacuees in Brgy San Isidro proceeded to Brgy. Vintar as their designated evacuation site was also flooded. Those in the other eight barangays are sheltered in their own village’s evacuation sites, he said. Meanwhile, two vegetable farmers bringing products to Poblacion Valencia City figured in a pump boat accident as they were crossing Pulangi River in Tugop, San Fernando, Bukidnon. The boat overturned. Langub said they were rescued in Liloan, Brgy. Lumbayao, Valencia City, about 15 minutes later. He said they were reported to be alive but no other details were available. Langub said as of 10:18 a.m. water level in Lumbayao Dam had reached “Level 10.” At the height of super typhoon Pablo in Decmber 2012, it was monitored at “Level 11.” The critical level ofr evacuation is Level 5, the CDRRMO said. As of 7:10a.m, Valencia City has implemented enforced evacuations in four villages along the Pulangi River, the City Disaster Risk Reduction and Management Office reported. Bukidnon is among 15 provinces Mindanao placed under Storm Signal no. 2. Bukidnon is on red warning level for serious flooding, according to the Pagasa advisory as of 5.a.m. Friday, along with Surigao del Norte, Surigao del Sur, Agusan del Norte, Agusan del Sur, Davao del Norte, Davao Oriental, Compostela Valley, Misamis Oriental and Davao City. Residents have been evacuated in barangays Sinabuagan, Kahaponan, Vintar and San Isidro. 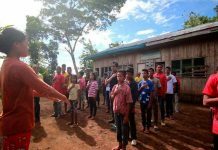 For the rest of Bukidnon, Israel Johann Damasco, Provincial Disaster Risk Reduction and Management Officer, said landslide alert level 1 was also raised in Brgy. Sumalsag, Malitbog, Bukidnon as of 4 a.m. Friday. The University of the Philippines Dynascope monitoring in the area announced possible landslides due to the continuous rains, Damasco said. They have implemented preemptive evacuation of at least 30 families. Malaybalay CDRRMO reported the evacuation of 100 families from Sitio Panamucan in Brgy. 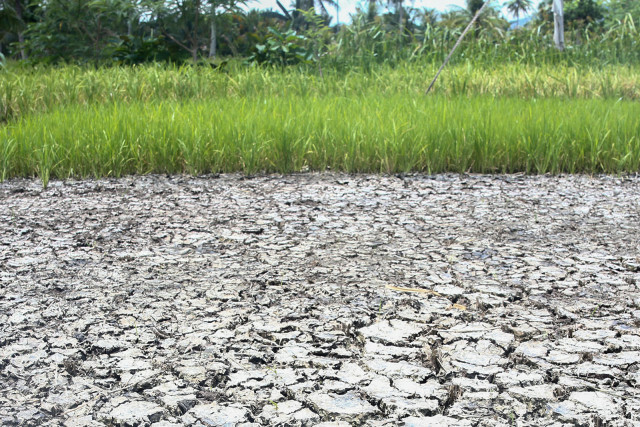 San Jose as a preemptive action, as of 11 pm Thursday, Allan Comiso, the Malaybalay CDRRM coordinator, said. 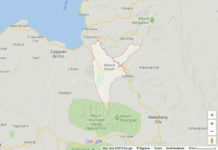 Malaybalay City Administrator Romeo Lapiceros said work has been suspended in the city although no formal announcement has been released as of 9a.m.